Gatorade and Mr Porter are among the brands testing Facebook’s latest mobile ad platform – ‘immersive advertising’. 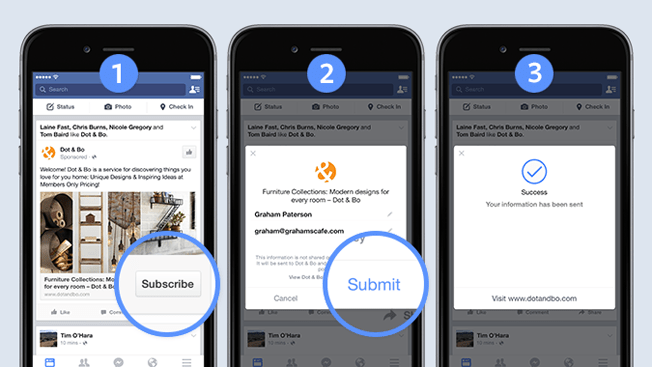 Facebook doesn’t describe the new immersive advertising opportunity as an ad format – but an “experience” that will enhance exiting ads. The network says the mobile proposition is fully open to customization by advertisers to create mobile ads that do whatever they want. The newly ad being tested looks like normal sponsored posts in the News Feed, but when tapped, they open full screen and allow the viewer to flip and scroll through text, photos, videos and other content. It’s like an alternate version of a brand’s website but will load more quickly and be more interactive because the content is native to Facebook. The idea is very similar to the Instant Article format Facebook offering to publishers, except instead of editorial content, ads will be served. Testing is said to be at an early stage with a small number of advertisers, but there are no metrics to share as yet. Immersive advertising was unveiled at Cannes this year by chief product officer Chris Cox as a way for advertisers to create rich media content on mobile.